Hi everyone! The weather in San Antonio has been so hot and humid lately that an indoor play place is looking really good!!! I know these places can get a little expensive, when we have more than one child, but this deal from Juice in the City today is the solution! It’s a 10 visit punchcard for $30. That’s $3 dollars a visit and you can use it for more than one punch in a visit. Not to mention that adults are free! This deal is good through the end of the year, perfect to get your kids out of the house this summer and in the winter, when playing outside is not an option! 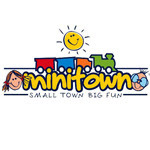 Check out Minitown’s website for a gallery of the different play areas. And don’t forget to subscribe with Juice in the City to get your mom approved, daily deals sent to your website every morning!